red, green or magenta stroke colors. Thanks for getting in touch about this. 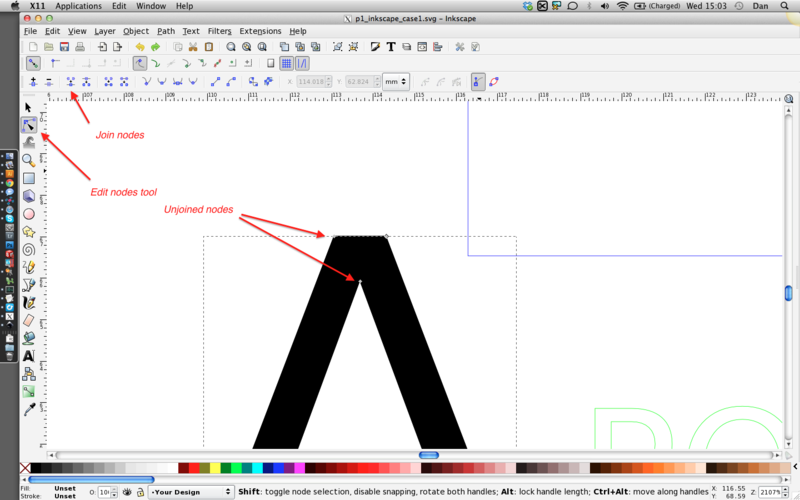 Unfortunately Inkscape is not very good at creating properly closed shapes from text. With the Edit Nodes tool, select the shape and examine the nodes. Where the nodes are joined they have a black outline. Where they are not joined they are grey. Click and drag a box over the nodes to select the 2 unjoined nodes and click the Join Nodes button at the top left. You’ll notice that node change to have a black outline.